Around 1,000 dead ducks have been pulled from a river in southwest China’s Sichuan province. Residents found the rotten carcasses floating downstream in woven bags. The ducks, which were found in the Nanhe River in Meishan city, have been disinfected with lime and buried 3 meters underground, deputy director of Pengshan County’s publicity office, Liang Weidong, told China National Radio. According to Liang, the ducks are believed to have been washed downward from upstream and accumulated in the Pengshan section of the river due to lack of water in the dry season. 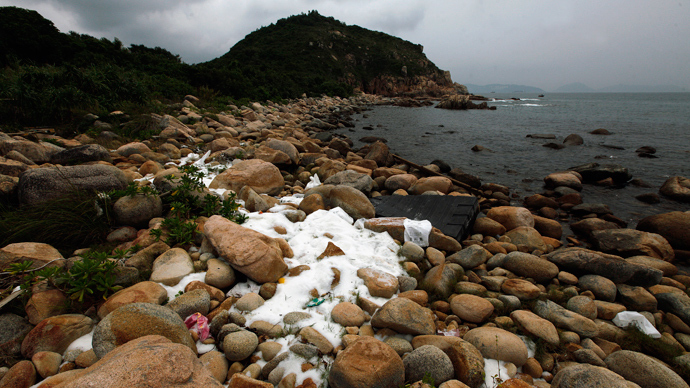 Although the origin of the ducks remains unknown, Liang warned that farmers who discard their dead ducks in public places face heavy punishment. 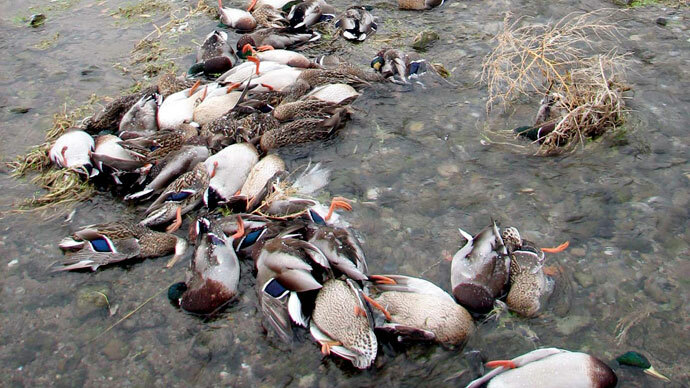 Officials were unable to determine a cause of death, as some of the ducks were already decomposed. 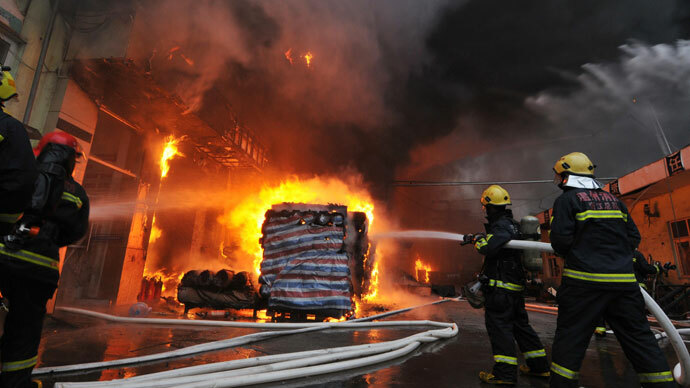 Despite worries from nearby residents, Liang insisted that the incident poses no threat to drinking water, nor does it endanger residents and livestock along the river banks. Reports of the floating duck carcasses come just as the toll of dead pigs pulled from China’s Huangpu River surpassed 16,000. 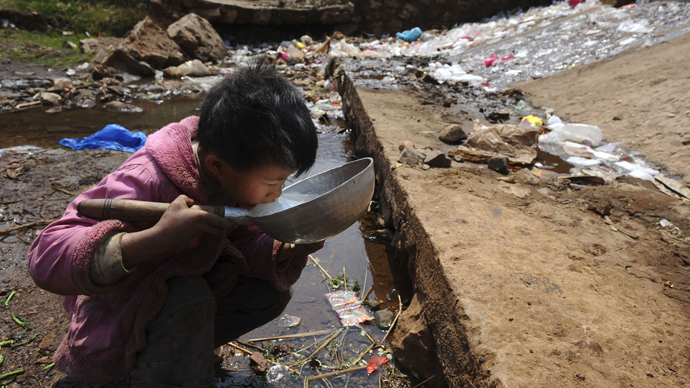 The swine incident has sparked national health and safety concerns, largely due to the fact that 22 per cent of Shanghai’s drinking water comes from the Huangpu. The origin of the pig carcasses remains a mystery, with Shanghai saying its farms have not reported an epidemic which would kill pigs in such large numbers. 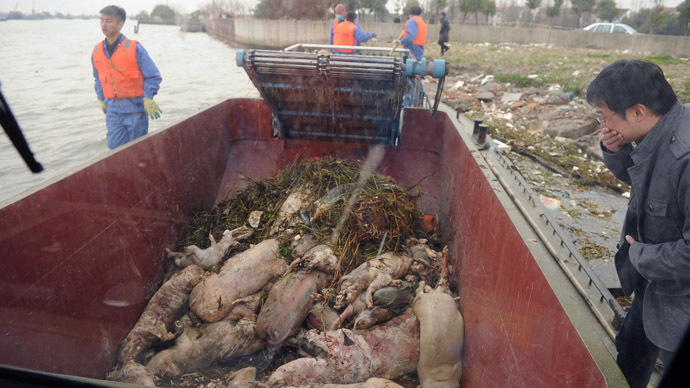 Workers have been pulling dead pigs from the river for the past two weeks, with Shanghai pulling out 10,924 dead pigs as of Sunday afternoon. 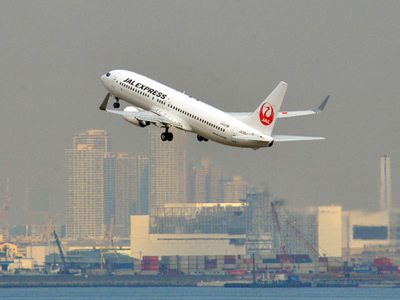 But the end of one sanitation incident has seemingly marked the beginning of another - and Chinese residents have taken to social networking sites to express their concern. "The dead ducks in Pengshan River present us with a very practical problem, and show how society's bottom line is getting lower and lower," a member of weibo - China’s version of Twitter - said. The scandals have highlighted China's troubles with food safety, adding the country's most popular meat to a growing list of food items rocked by controversy.